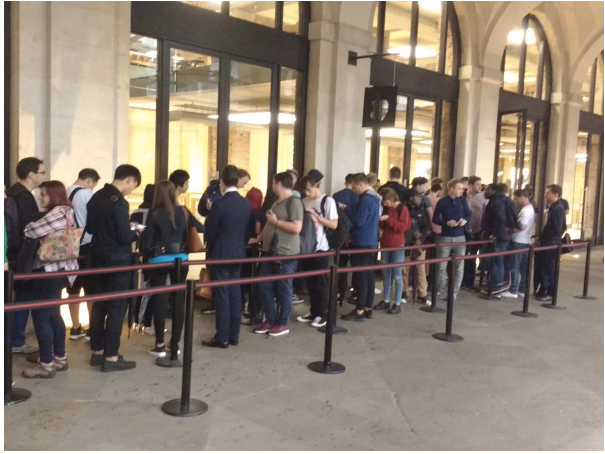 Imagine a queue for a new Apple iPhone. Where are we going? To the robots that will affect our lives. At an Apple store in New Zealand, robots queued for a group of iPhone 7 buyers. 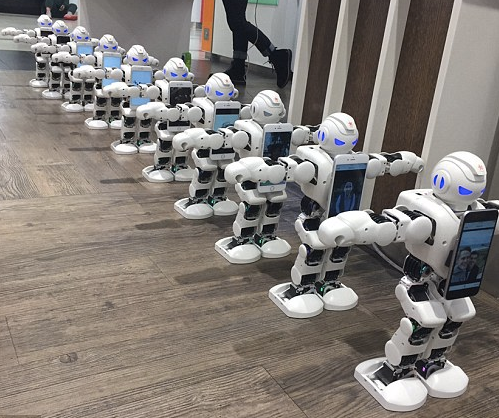 Saying they wanted their customers to get the new phone without the hassle of a long wait, Spark (a telecommunications firm) offered miniature robots to 100 people. Since the purchase had already been completed, the robots just had to wait, maybe do some pre-programmed dancing, and I assume pick up the phone. It appears though that the robots at the Apple store were much less sophisticated than Xavier. Xavier is a “social” robot who has been able to go to Starbucks for his Carnegie Mellon developers. When you think of the details, getting coffee at Starbucks is complicated. Just to find the back of the line, Xavier has to start at the front. Then, moving backward, he scans the person ordering coffee, the person behind her, the next and so on. When no one remains, he has found the end of the line. At that point he needs to know not to get too close to the person standing in front of him. He has to figure out when to move forward and when to order. And, he can’t let others cut in front of him. You get it (and so did Xavier 70% of the time). What we do naturally in line becomes a massive algorithm for a robot. And Xavier also tells knock-knock jokes. Robots replacing professional line standers, assembling cars, and as self-driving cars, change what people do at work. Called structural unemployment, this type of joblessness reflects a fundamental change in land, labor or capital. Requiring new skills from workers, it is quite different from the cyclical unemployment that depends on the ups and downs of the business cycle. After the December 2007 to June 2009 recession, economists debated whether unemployment was structural or cyclical. My sources and more: Alerted by marginalrevolution.com to robot queues, I started searching for other robot stories and discovered Xavier.